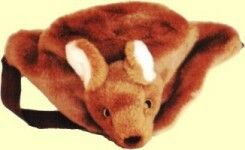 Very very soft kangaroo toy that likes hugging and hanging on your shoulder. 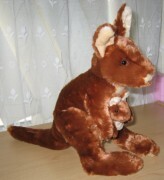 Perfectly designed and quality made cute kangaroo plush toy. 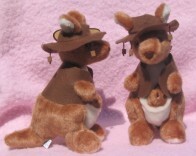 Oz Beanz kangaroo, koala, wombat, echidna. 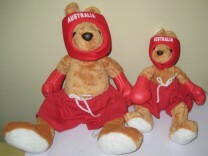 Boxing kangaroo toys. 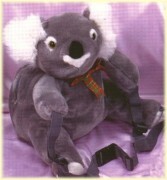 Premium quality red boxing kangaroo toys. 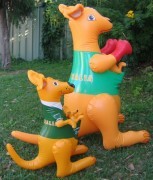 Large friendly looking inflatable kangaroo with blow up Joey wearing Australian green & gold colors. 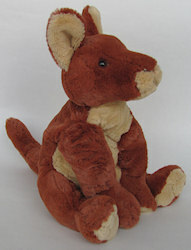 Baby Matilda is perfect red kangaroo toy - soft, silky, huggable and very much desired. Fits waist belt sizes 24 - 34 inches / 61 - 87 cm.